Dani Hollis is the Vice President of Operations and Quality at PSCU the nation’s leading credit union service organization (CUSO) serving more than 1,500 financial institutions nationwide. The company is owned by over 700 member credit unions representing 16 million credit, debit, and pre-paid, online bill payment, mobile and electronic banking accounts. 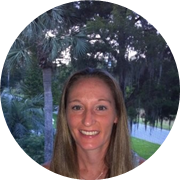 Dani has over 10 years of leadership experience spanning various domains and holds a Master Degree in Information Systems from Robert Morris University. Her background includes being a recipient of the Certified Business Analyst Professional (CBAP) designation, Lean Six Sigma Green Belt certification as well as various IT and process related designations. Dani has a passion for serving the underserved and serves as volunteer and board member for various non-profit organizations in the Tampa Bay area. · Who should own the end the end process? Check out the incredible speaker line-up to see who will be joining Dani.